Blackbird Guitars’ El Capitan on a bed of Ekoa. Courtesy Blackbird Guitars. Inspiration comes in many guises: a glimpse of an old photo, a ray of sunlight on the skin—or the crash of a digital watch against a concrete wall, which was the childhood inspiration for industrial designer Joseph Luttwak. Although the watch did not survive, his budding interest in making things that last did. Based in San Francisco, Luttwak is the founder of Blackbird Guitars and Lingrove, a biocomposite-materials company. And the things he builds are lightweight, great-sounding instruments. 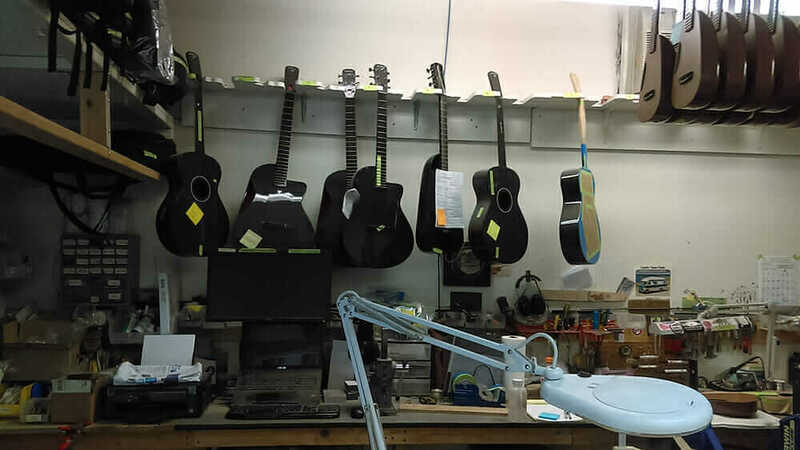 A peek inside Blackbird Guitars’ San Francisco workshop. Courtesy Lara Caldwell. Indeed, the Rider is a success, with more than 1,000 produced from Blackbird’s San Francisco manufacturing studio. But it’s the city—and the unique manufacturing challenges associated with carbon fiber—that has required Blackbird to rethink its production processes. Detail image of the El Capitan. Courtesy Blackbird Guitars. San Francisco’s stringent operational and environmental regulations challenged the assembly of the Rider series: Because carbon fiber can irritate the skin and lungs, the city requires full protective gear to mitigate dust particles during manufacturing. These worker-safety considerations made it more difficult to recruit craftspeople and more expensive to operate. This regulatory obstacle gave Luttwak a creative opportunity to evolve the manufacturing process for his next guitar line: El Capitan. Luttwak needed a solution that would alleviate environmental manufacturing difficulties while still allowing for production of a lightweight, full-body instrument with incredible sound. 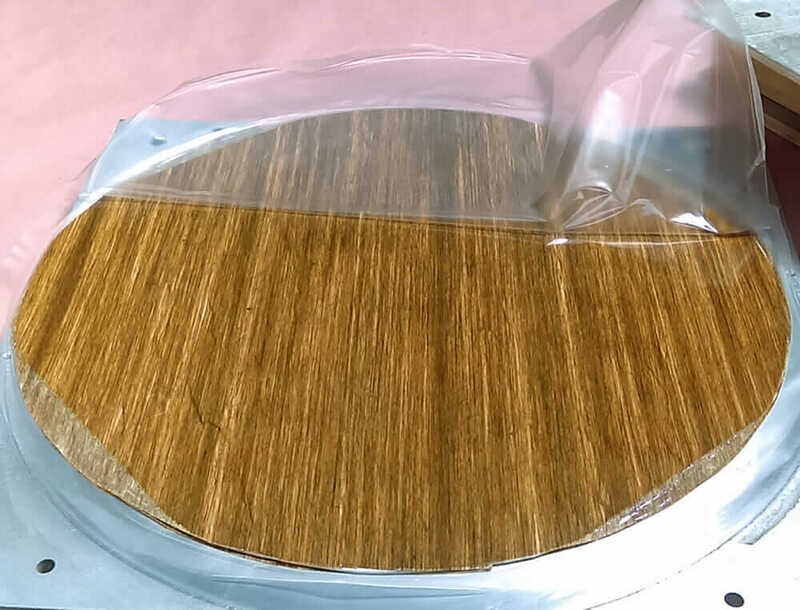 So he partnered with a local materials company, Entropy Resins, to test and formulate a natural-fiber option. The result was Ekoa, a proprietary composite of flax linen and plant-based resin upcycled from industrial waste. 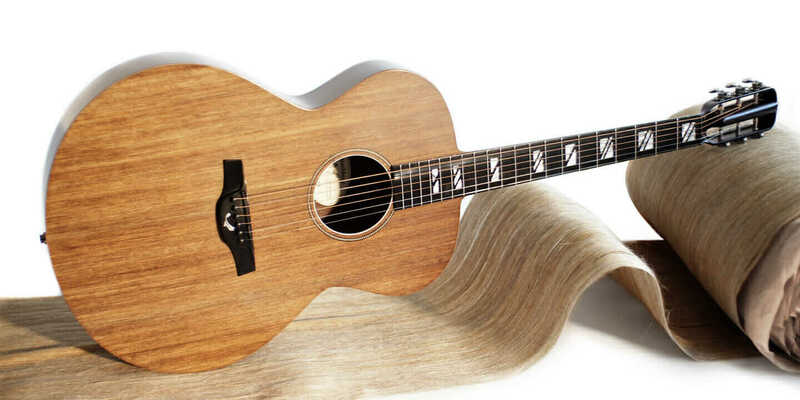 Although old-growth spruce is considered the gold-standard material for acoustic stringed instruments, Ekoa is lighter and thus more resonant, with “very few drawbacks,” Luttwak says. “Ekoa’s fabric component, linen, is one of the oldest high-performance materials and absorbs higher frequencies like wood does.” Ekoa looks and sounds like real wood, something the music industry could use more of these days: High-end instruments are made of increasingly scarce rainforest wood, which is creating a supply-chain issue for instrument manufacturers. With the Ekoa formula in place, Luttwak set out to produce an “heirloom-quality” instrument with the new material. Prototyping took about three years, starting with a ukulele. The ukulele prototypes led to Clara, Blackbird Guitars’ first Ekoa instrument. “It’s easier to start with a small piece like a ukulele than a large one like a guitar,” Luttwak says. Studio space, labor costs, and safety regulations—including reducing clear-coat paint use—all played a part. Eliminating clear-coat paint altogether required using a different kind of mold and taking a fresh look at parts assembly methods. Resolving these issues demanded a design solution. 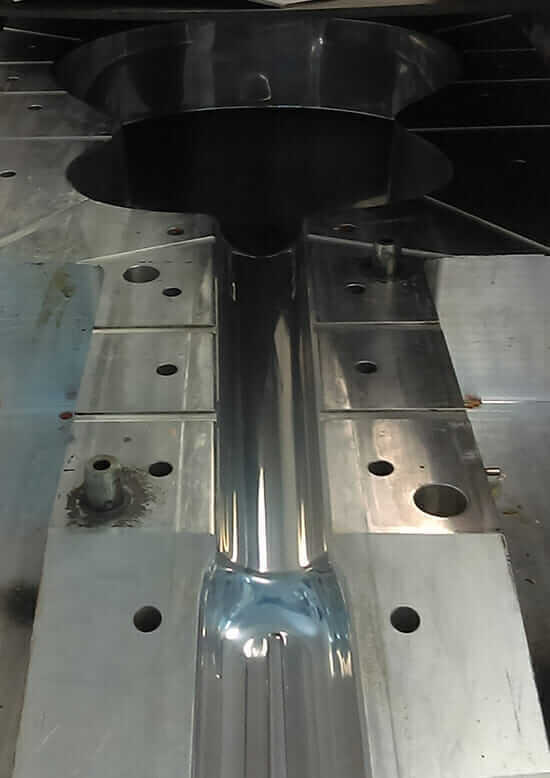 After folding Ekoa into the manufacturing chain, Blackbird produced high-grade tooling molds from which skilled technicians could pull parts that had a Class A finish. Together, these production components enabled Blackbird to streamline composite production, assembly, and finishing. An El Capitan mold. Courtesy Lara Caldwell. Combining premium linen with the proprietary eco-resin to produce Ekoa initiates the El Capitan manufacturing cycle. Ekoa is produced on aerospace equipment, with exacting fiber-to-weight ratios for precision. This sets up the later steps for the molds. The smaller parts of the guitar are machined off Blackbird’s master CAD assembly and polished for a perfect fit. Finally, all parts are assembled and a luthier tests each instrument for sound and playability. Luttwak’s dedication to problem solving led to Ekoa, which not only resolved his manufacturing dilemma but also spawned his second company: Lingrove. Dedicated to wood replacement, Lingrove produces Ekoa for four market categories: mobility and technology, music and sound, furniture and built environment, and outdoor and leisure. Along with the El Capitan, Ekoa has other product applications, such as canoe paddles; bike parts; and furniture, including a concept tulip armchair. 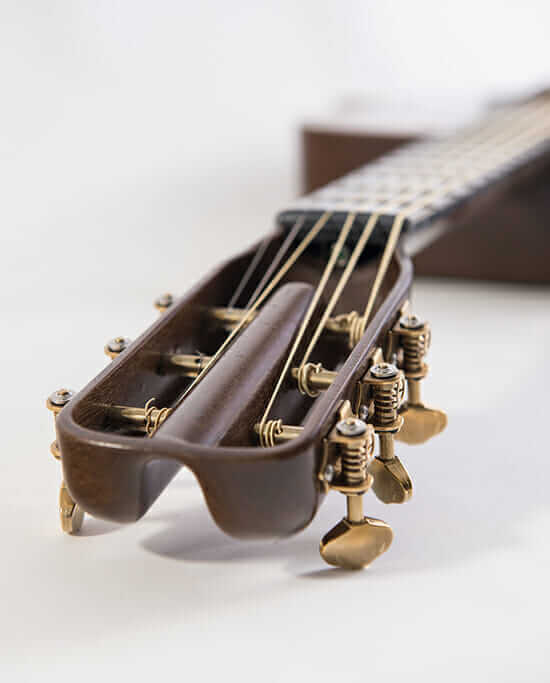 With Blackbird Guitars and Lingrove, Luttwak has incorporated his brand of form, function, and design thinking to offer unique instruments and products with an unmistakable San Francisco sensibility—a high note, indeed.